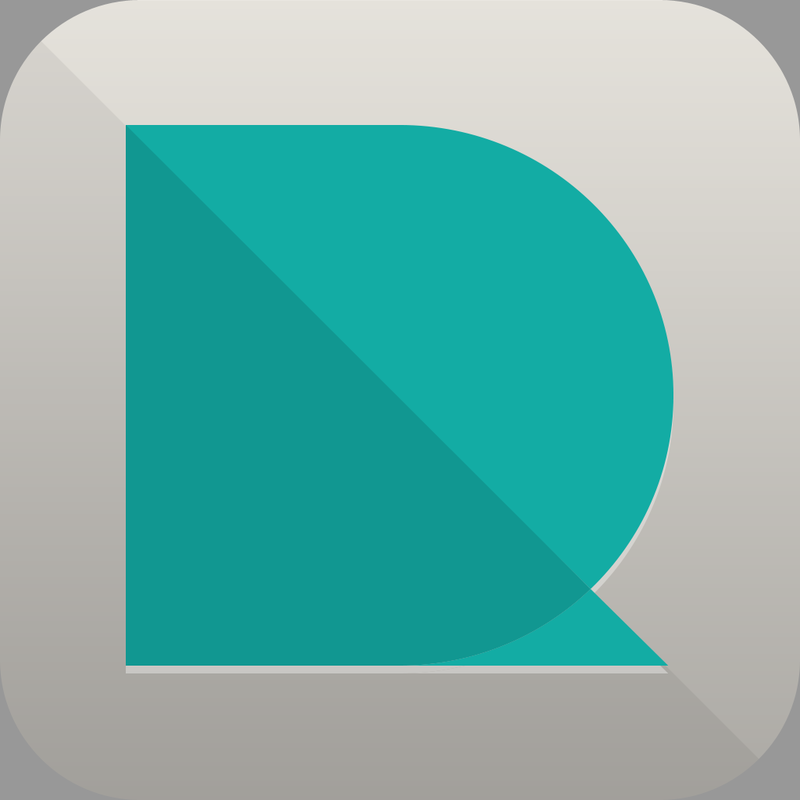 Resume Designer ($3.99) by Mostafa Ashour is an app that lets you design and create new resumes or keep current ones up to date. Finding and applying to the right jobs can be time consuming as you’ll often have to tailor your resume for each application. Resume Designer lets you create, organize, and manage your resumes while on the go, so you’re always ready to act quickly when you come across the ideal opportunity. 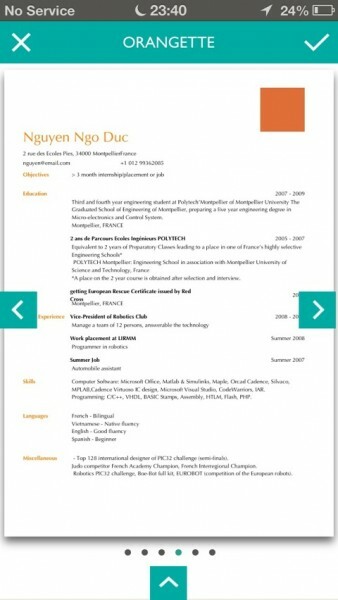 Resume Designer is intuitive to use. Each process is broken down so you can build you resume one step at a time. 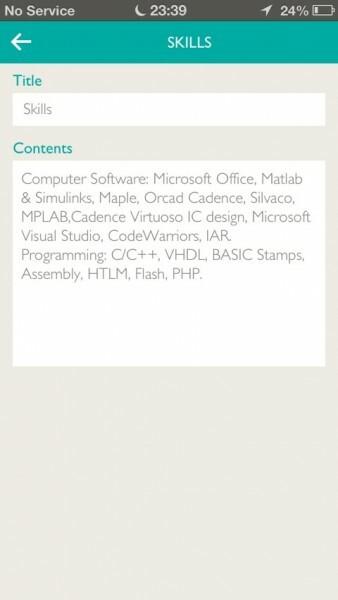 When you first start using the app, it already includes completed examples, so you can just start by editing them, or you can start with a clean slate. Creating a new resume starts with adding a title. 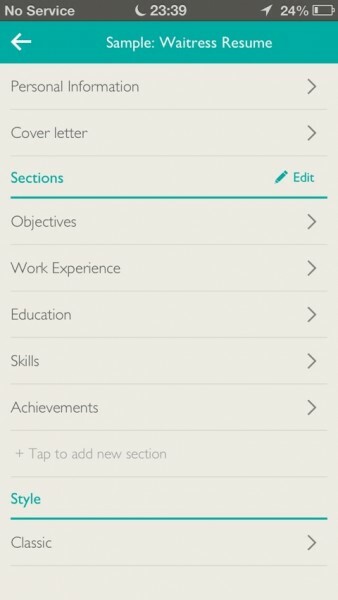 You then add your personal information and start creating new sections. The sections include things like objectives, work experiences, education, skills, and other things you expect to see on a resume. After you’ve added all of your relevant information, you can start experimenting with your design. This is one of my favorite parts of the process, because it makes it really easy to try new and professional designs. There are six different styles to choose from, some of which are more colorful than others. I personally think that all of them look quite good. 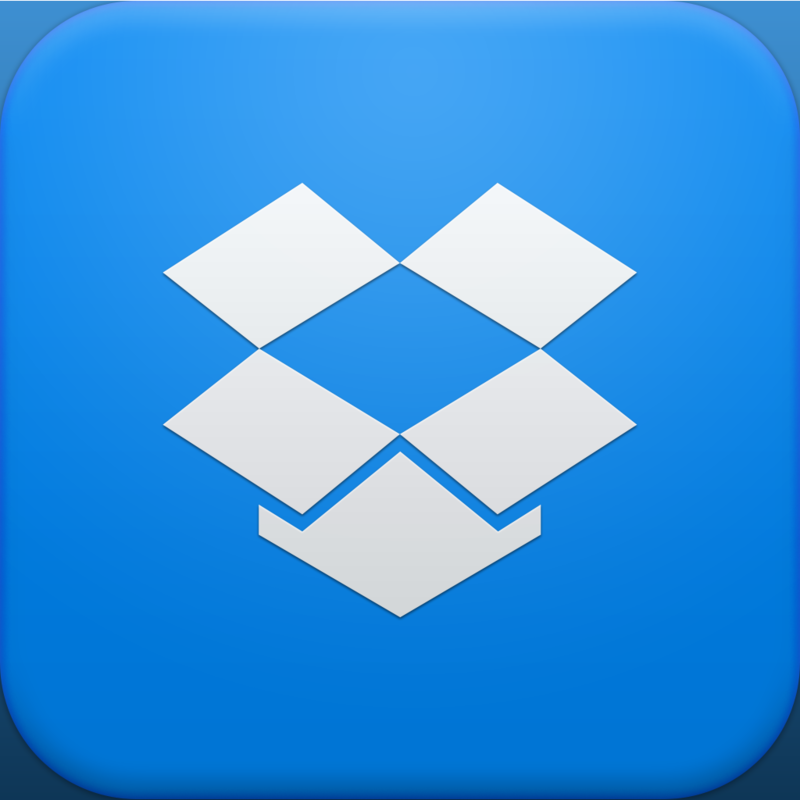 Once you’ve picked a design and you’re ready to use your new resume, you can save it to any of your apps that support PDFs, including Dropbox or Evernote. You can also send it to an email address or print it. 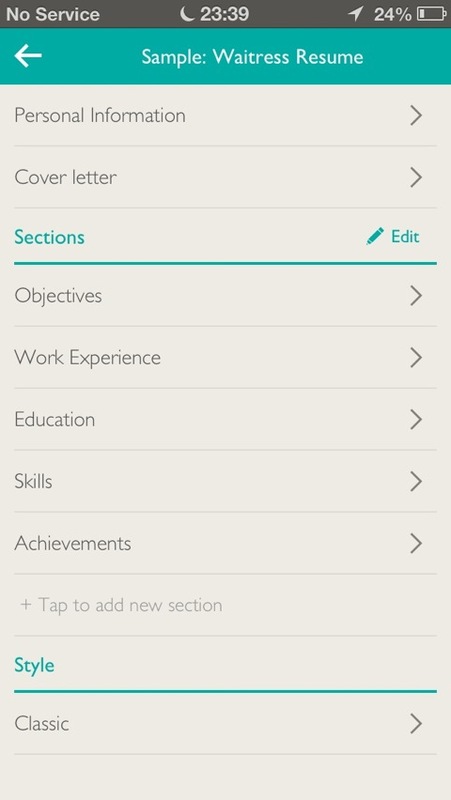 Adding your first resume to this app is the most time consuming part of the process, but it’s worth it. If you’ve learned new skills or gained new experiences, you can update your resume in seconds. You can also duplicate your resume, so you have multiple versions created for different job applications. 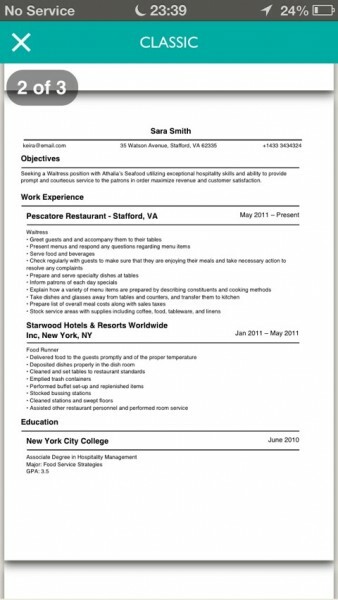 I found that Resume Designer was extremely easy to use and it did allow me to create professional resumes that I could update in seconds. If you’re hunting for jobs and you want a better way to create, organize, and update your resumes, this is an app you should consider downloading. 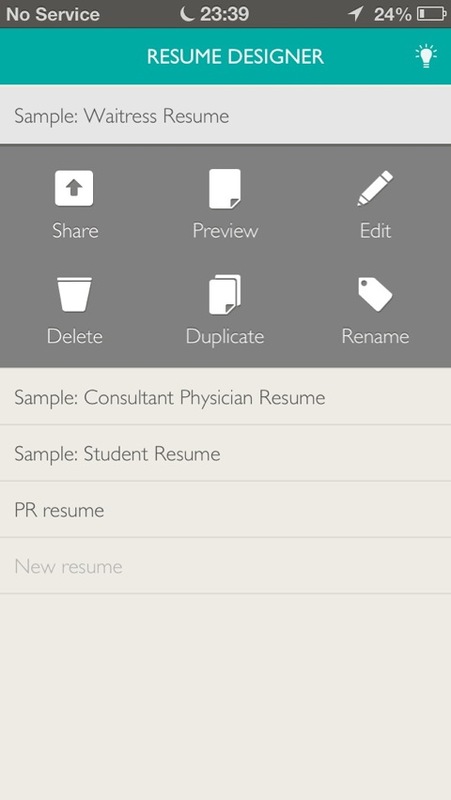 You can get Resume Designer for iPhone for $3.99 in the App Store. 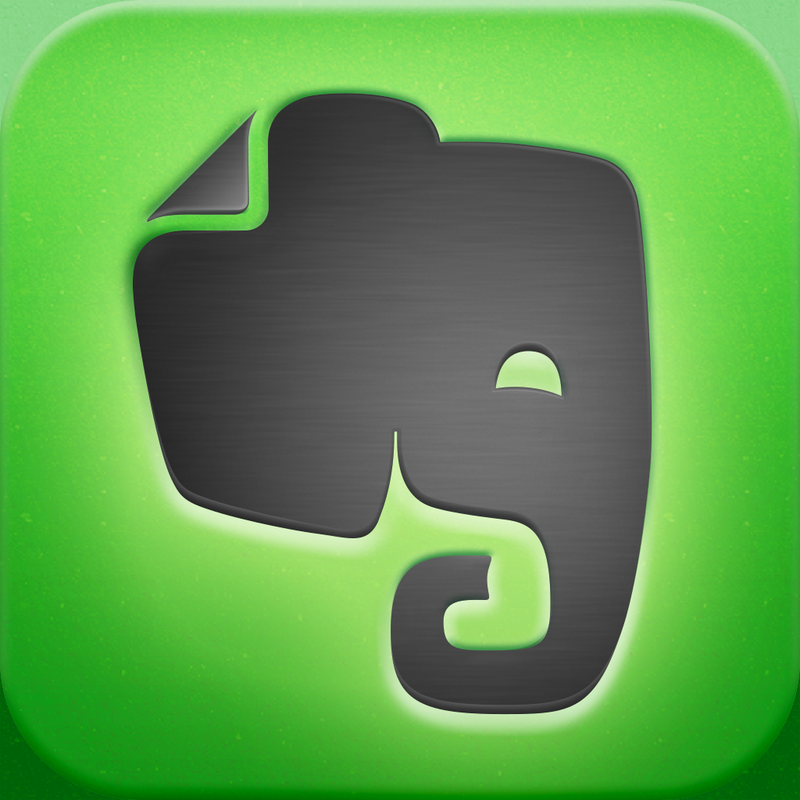 For more apps that can help you on your job hunt, take a look at this AppList.